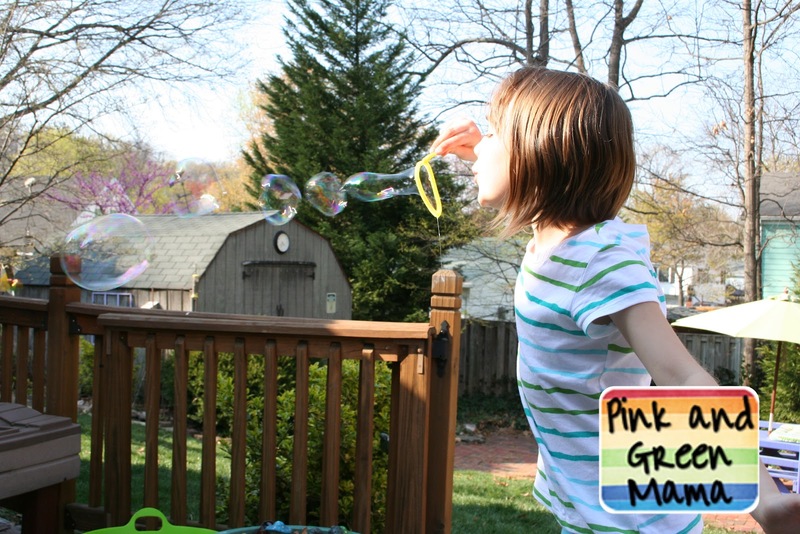 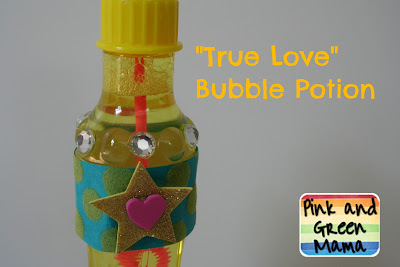 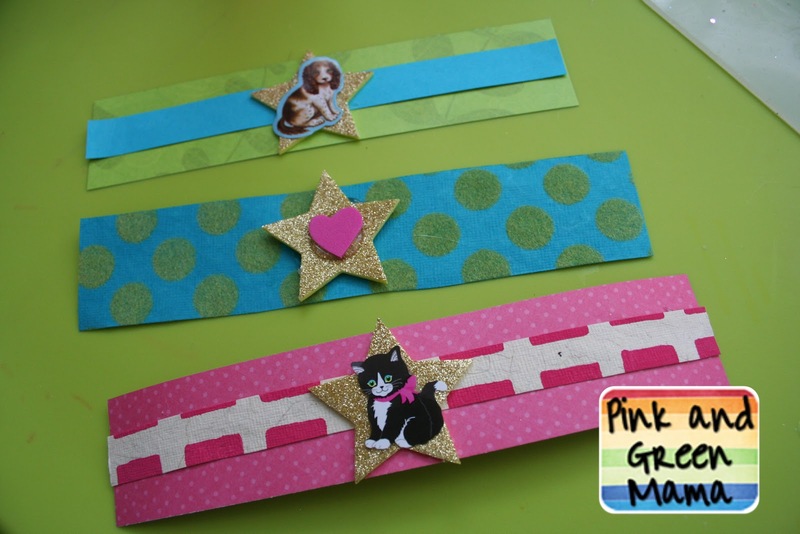 Pink and Green Mama: * Mirror Mirror Puppy Love Bubble Potion Craft Project, plus a Mirror Mirror Movie Giveaway! 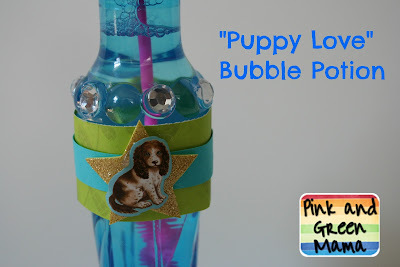 * Mirror Mirror Puppy Love Bubble Potion Craft Project, plus a Mirror Mirror Movie Giveaway! Mirror Mirror, to make this fun craft! when she accidentally gives the prince "Puppy Love" potion and he acts like a silly dog. 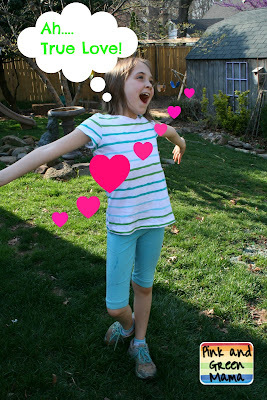 The girls and I laugh out loud every time we see it! 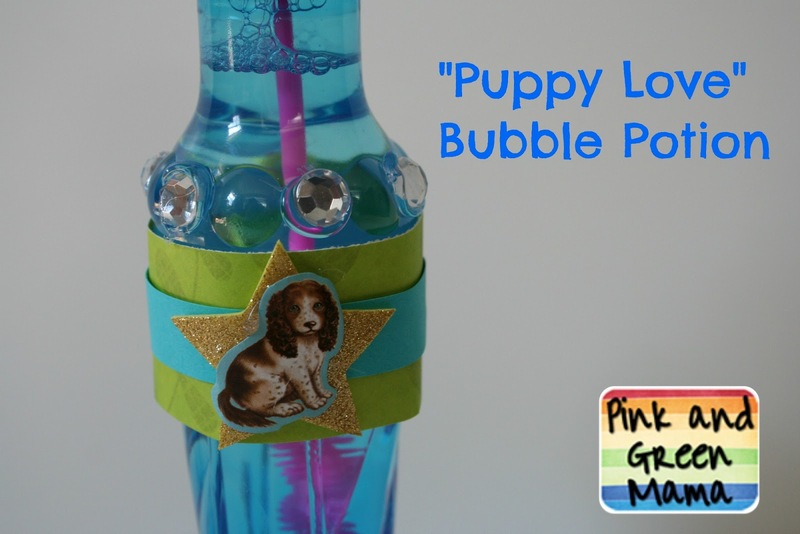 We decided to make our own "Puppy Love" potion and make a game out of it. 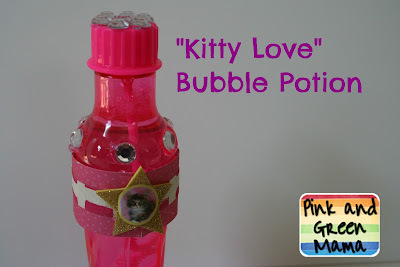 First, we picked up some bottles of bubble solution at the store. 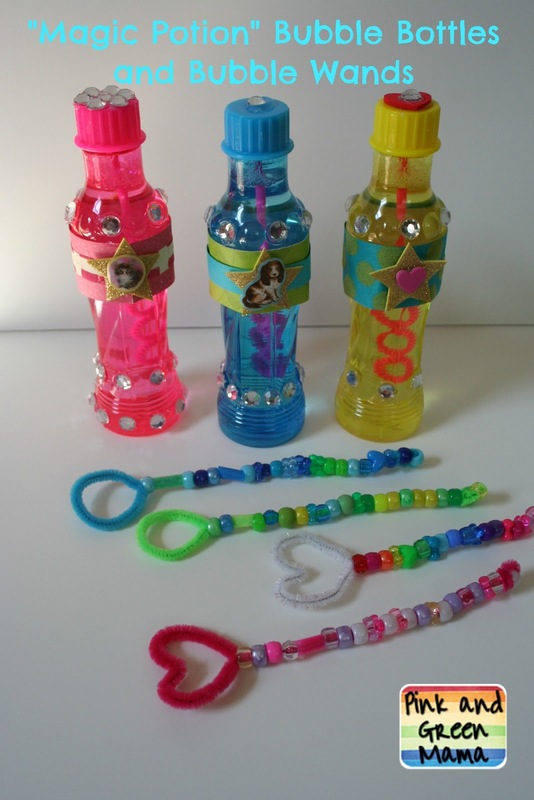 Then, we got to work "transforming" them into magical potion bottles! 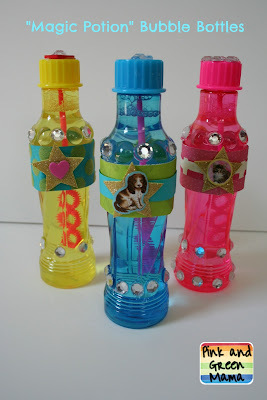 to scrapbook paper labels and added stickers to show what kind of potion is inside the bottle. 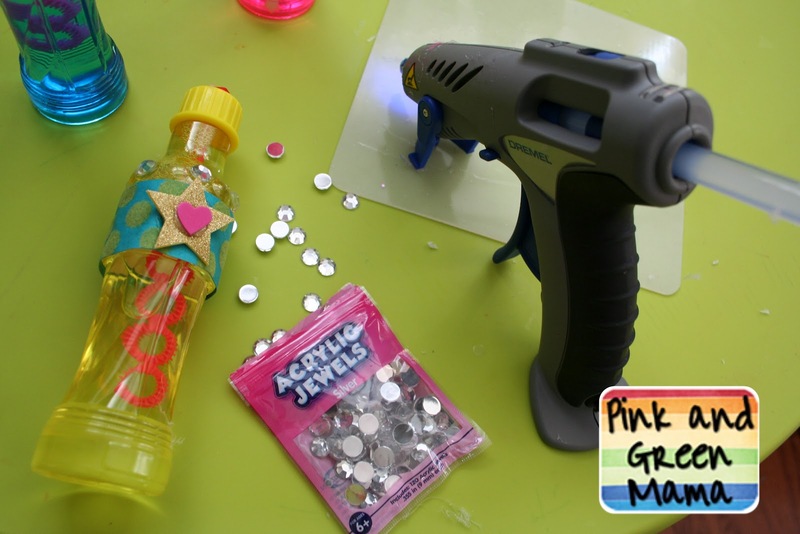 safety note: make sure an adult uses the glue gun- they're too hot for small fingers! 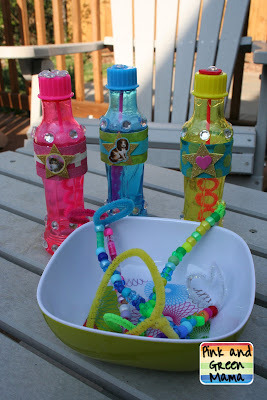 Then, I added some bling to the bubble bottles with some decorative craft gems and my glue gun. 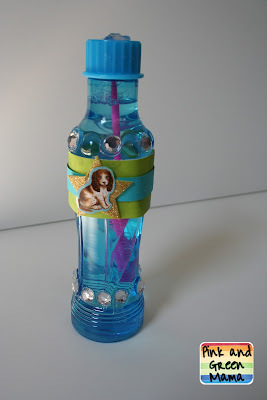 Our finished "Puppy Love" bubble potion bottle. 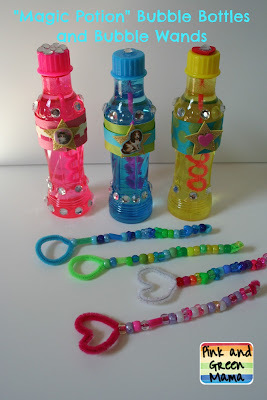 Then, we decided to make some fancy bubble wands to go with our fancy potion bottles! 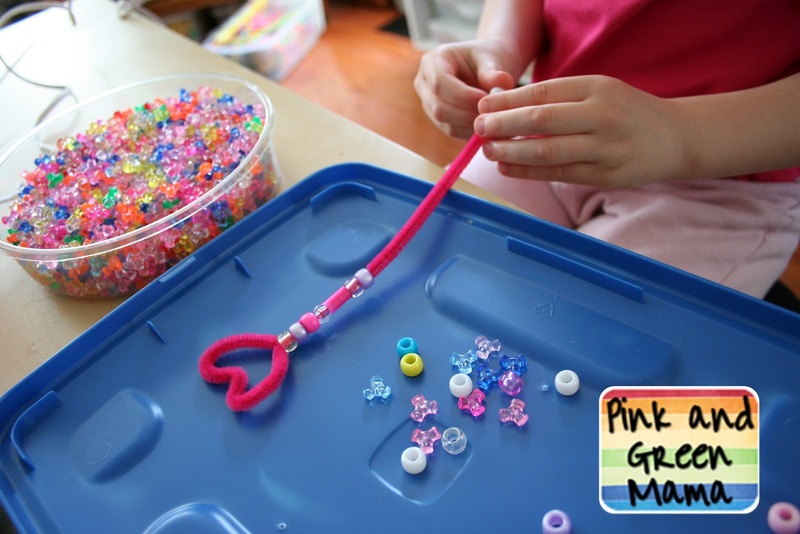 by stringing beads onto chenille pipe cleaners. 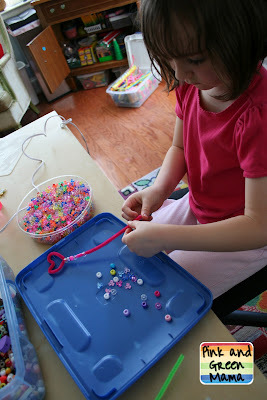 then strung on some beads and twisted the end to keep the beads from falling off. 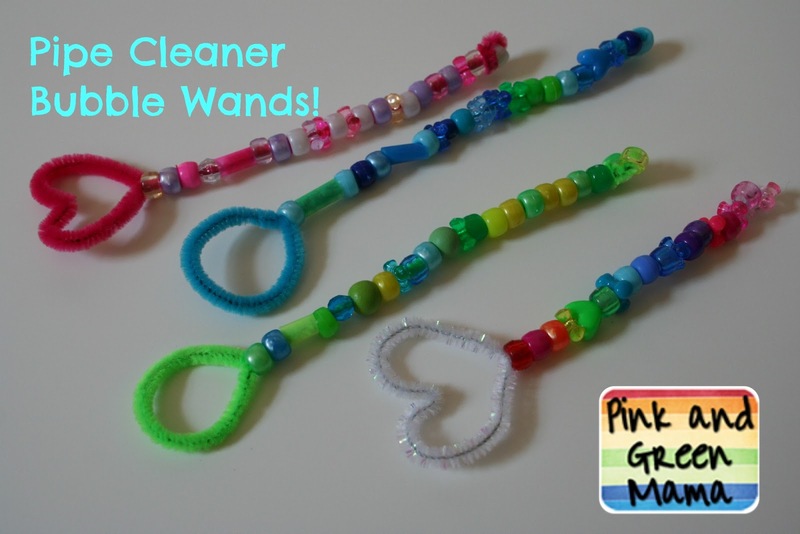 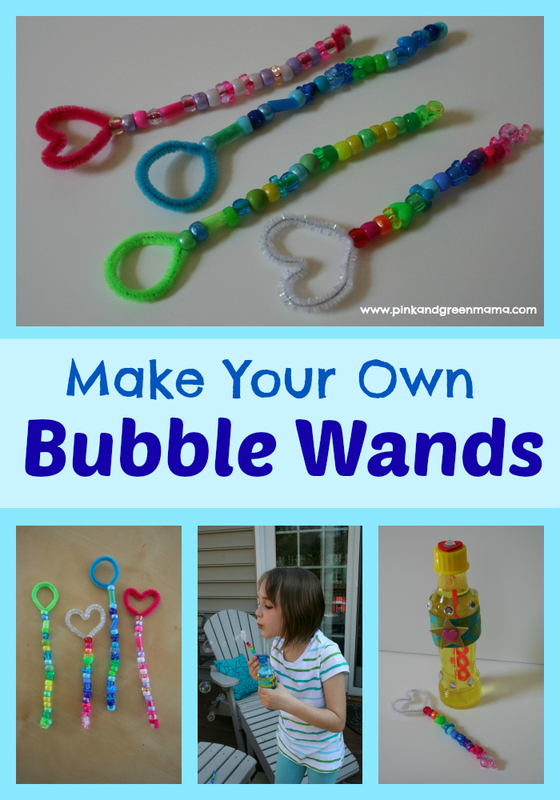 The homemade bubble wands hold more bubble solution and make huge bubbles! 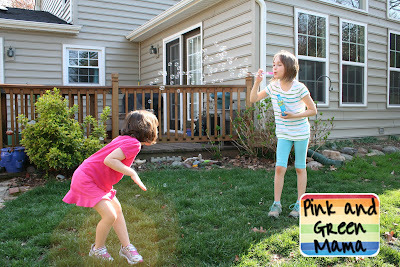 we headed outside to test them out! Our game was great fun in the backyard. 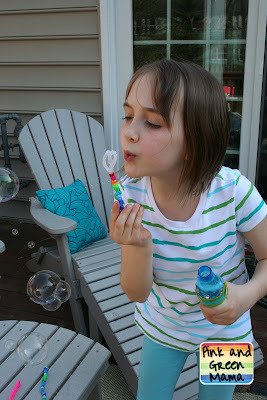 We took turns blowing bubbles from the different potion bottles. If a bubble touches you from one of the bottles, you have to act like that thing. 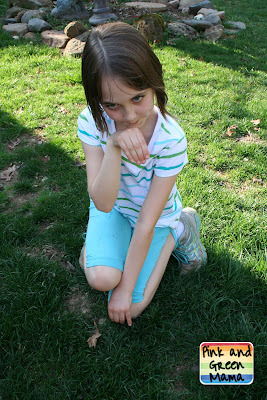 For example, here is "C" transformed into a puppy as big sister "E"
blows "Puppy Love" potion bubbles on her! 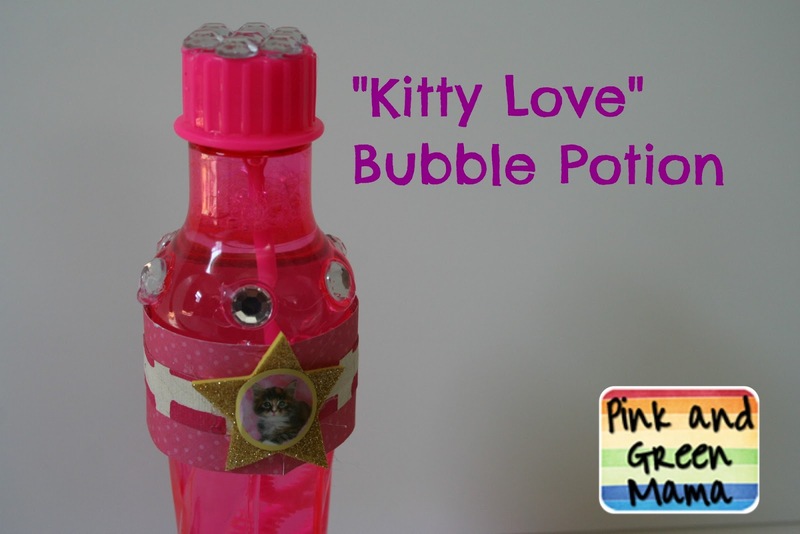 we had to make a batch of pink "Kitty Love" bubble potion too! you'll have to act like a kitty cat! Of course we had to make some "True Love" potion too! "magic" bubble potions and homemade bubble wands! Now, we can't wait to go see the movie! Want some Mirror Mirror fun of your own? How about a Schwag Bag? 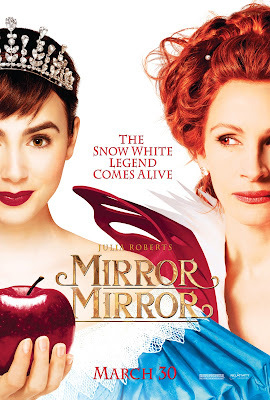 Lip Balm, Mirror Compact & Tote Bag. March 30th, 2012 at 10 pm EST. Make sure I have an email address to reach you -- Must be 18 or older, open to US Residents. 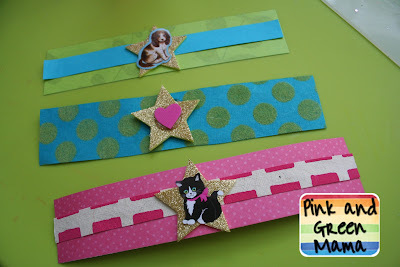 more craft tutorials inspired by Mirror Mirror!